So I for a while now I've had my own little headworld / alt universe for Slime Rancher. Basically that's an excuse for me to make slimes without restrictions hehe. So I thought I'd post it here, and update it whenever I make new ones / make new art for it etc. Algae slime - A small slime that oddly feel fuzzy as well as slimy. This slime does not eat, and instead produces one to three plorts throughout sunny days. These slimes need low water level ponds to survive, and can be found in shallow pools around the Merry Mire. Miasma slime - A very toxic slime to care for. Miasma slimes float throughout the Merry Mire dripping and exuding poison. Like Algae slimes, Miasma slimes do not eat, and instead randomly produce plorts at night. To safely care for these slimes, you'll need a vent upgrade for your corals. Mud slime - Quite possibly the laziest slime known, these slimes do not move and will stick wherever you plop them down. Found at the rim of ponds and pools, walking to near to these slimes could result in you getting slowed or stuck! Their favorite food are Mire Leeches. They require water to not dry out. Snapper slime - Much like Rock slimes, these slimes can damage you, though not purposefully. They can be found in clusters of five to ten and are very energetic, bouncing and jumping in the sun. Having a "mouth" on the top of it's head these slimes are very efficient at pest control, making them commonly kept in houses. Their favorite food is Frootflies. This is great! did you draw the slimes or use something else? DinosaurSlime wrote: This is great! did you draw the slimes or use something else? How'd you color them though? DinosaurSlime wrote: How'd you color them though? Layers + lots of micromanaging; Going back and forth on different layers and working on small parts that are off. The shading, lighting, gradients and even the face are all on their own layers. These slimes are cool! Can you make an outer space slime? 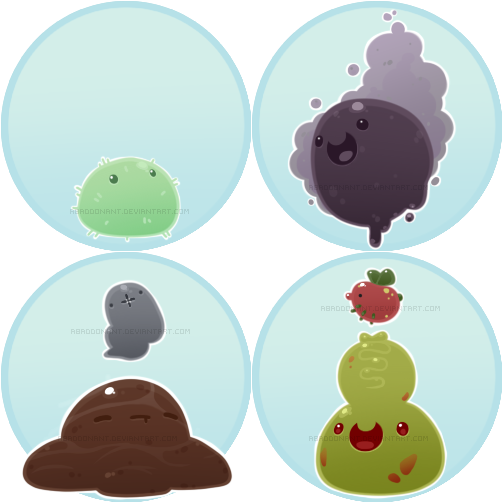 SquillionthGamer wrote: These slimes are cool! Can you make an outer space slime? TheGreciansHousehold wrote: Wow, these are amazing! I love your art! And even if you made up an alternate universe for your slimes, I still think one would be really cool! Onyxdragon wrote: I love your art! 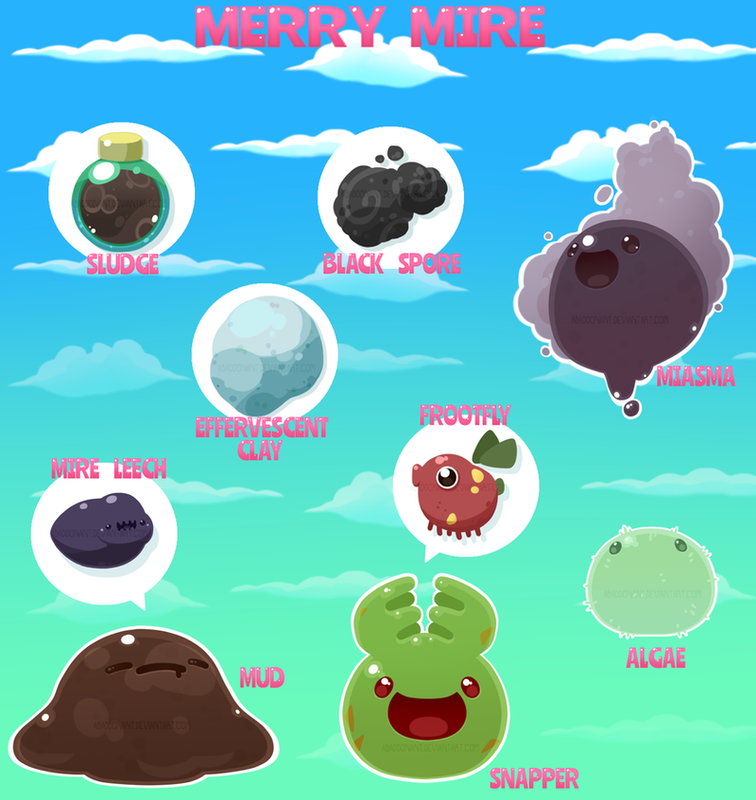 And even if you made up an alternate universe for your slimes, I still think one would be really cool! Your algae slime is so cute! All of them are so cute, but I love that idea in particular. SlimeCrafter wrote: what will the materials be used for?